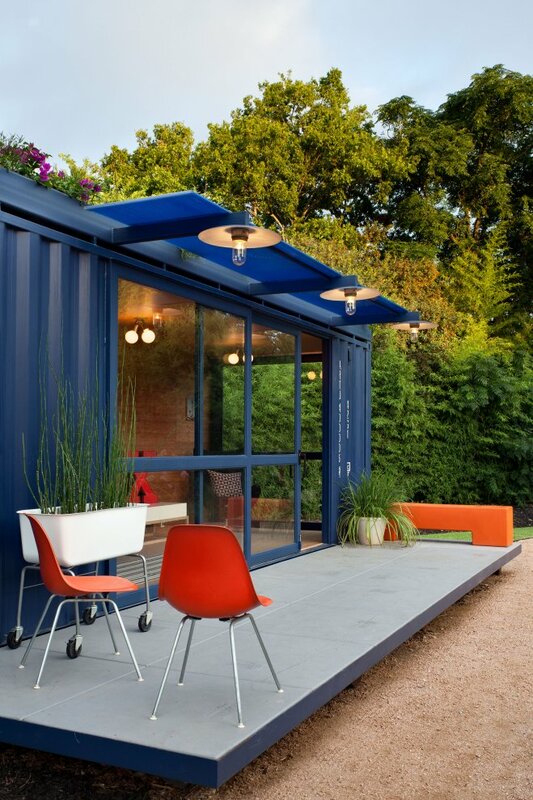 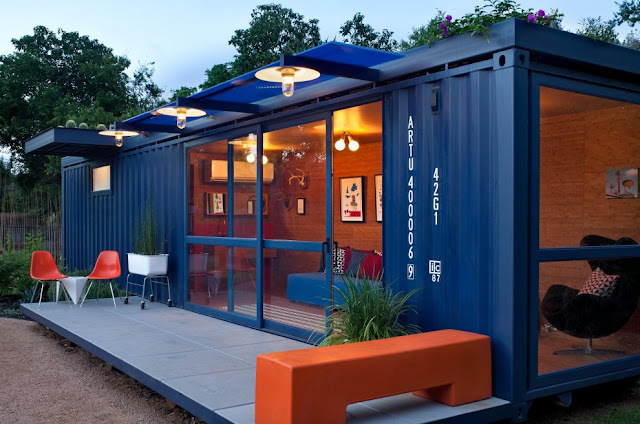 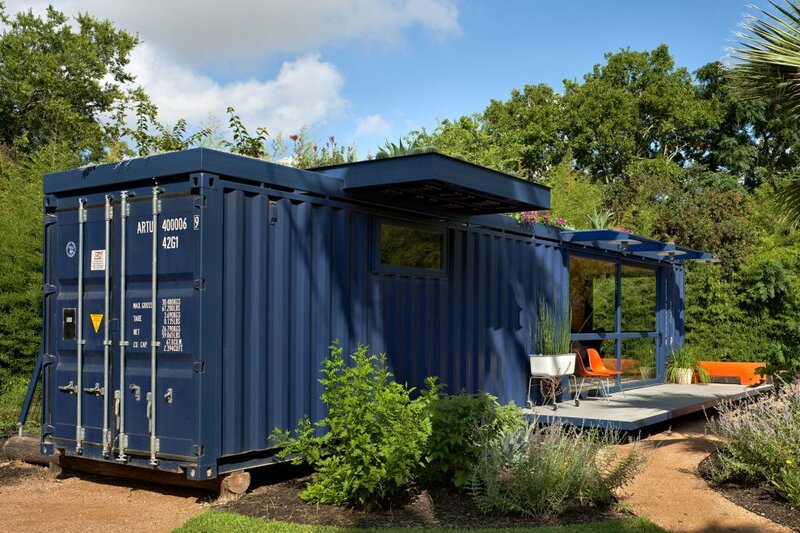 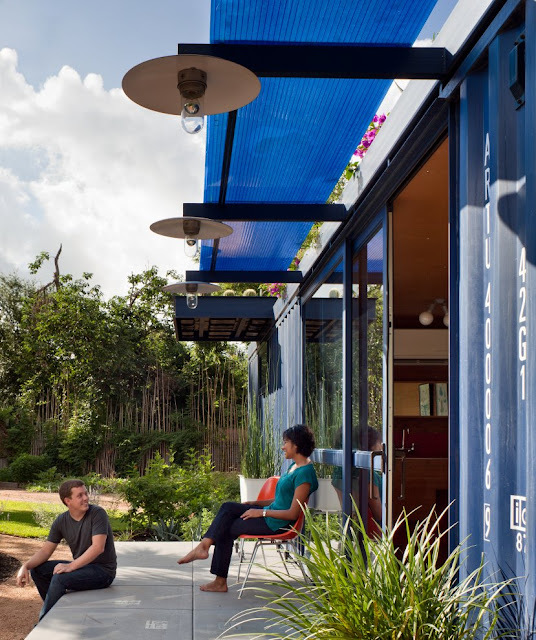 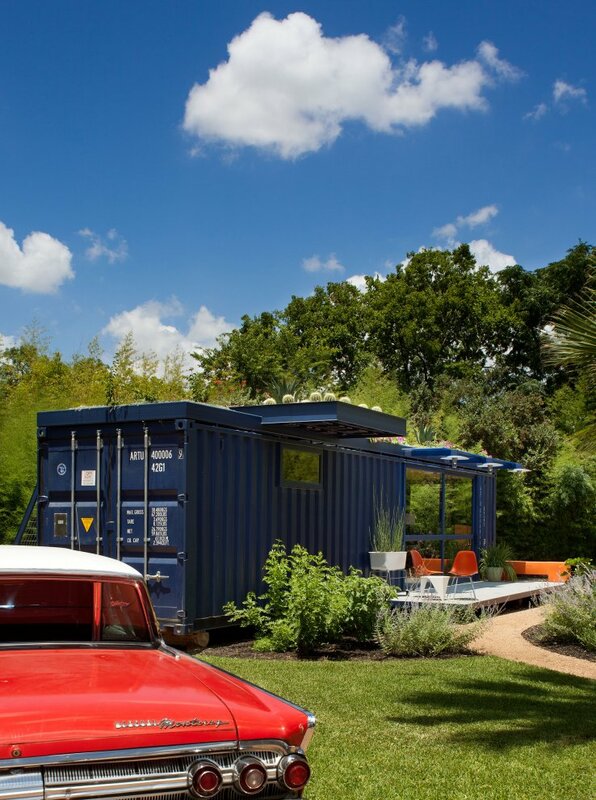 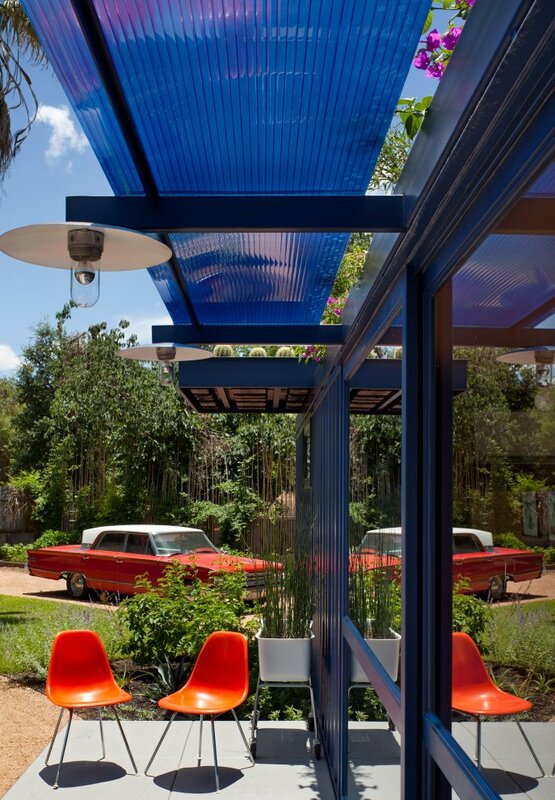 This Poteet Architects’s project is a successful implementation of client’s wish to experiment with shipping containers. 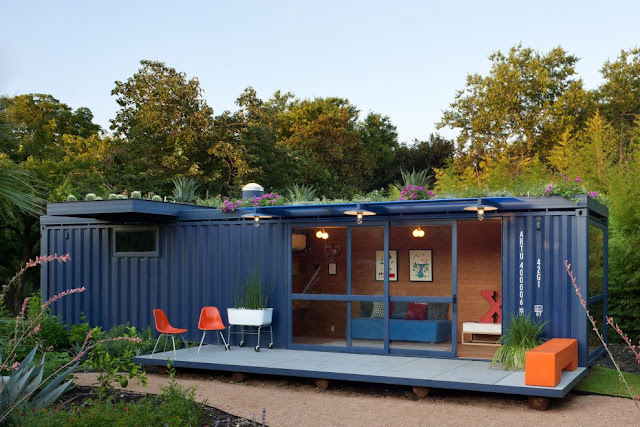 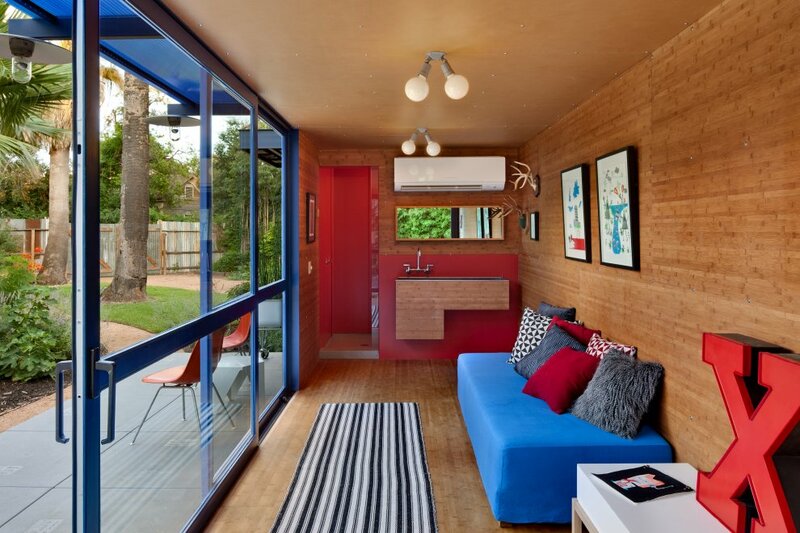 The green roof container home serves as a small guest house and is fitted with a custom stainless sink and a WC/shower. 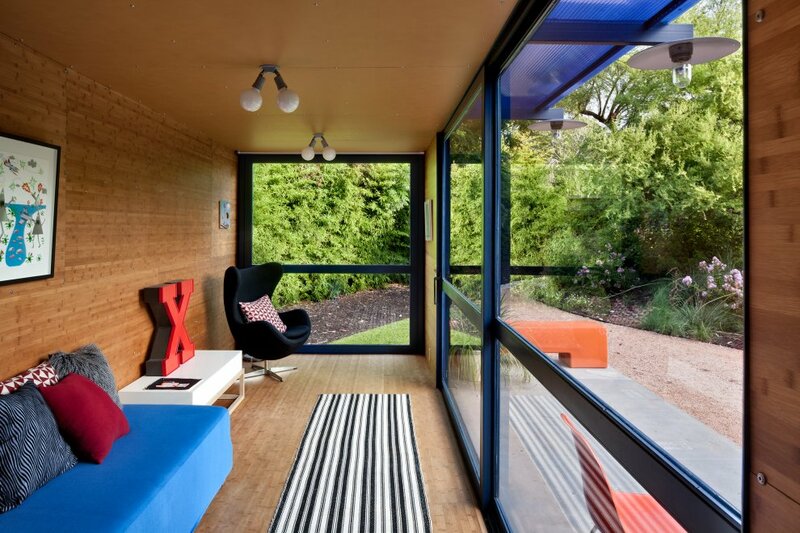 Large sliding window opens the interior space to the surrounding natural landscape. 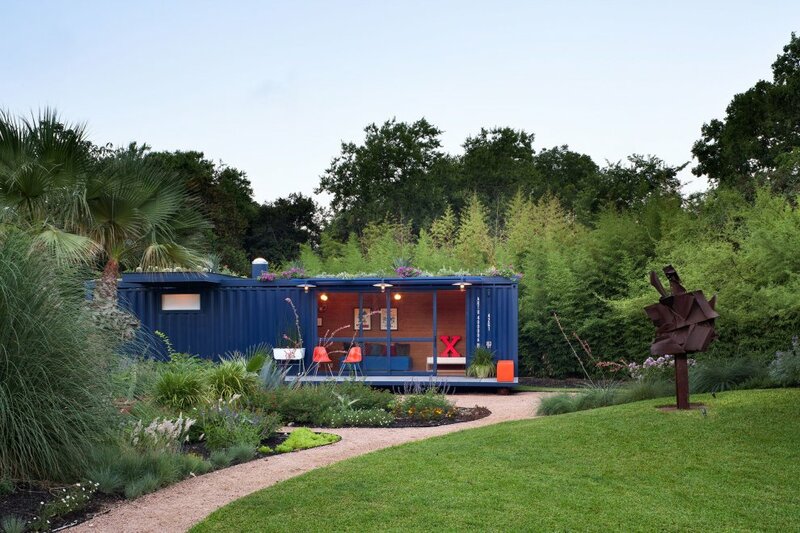 The design emphasis is on the sustainable strategies: recycling of shipping container for a permanent use; the green roof provides shade and natural insulation to reduce heat gain. 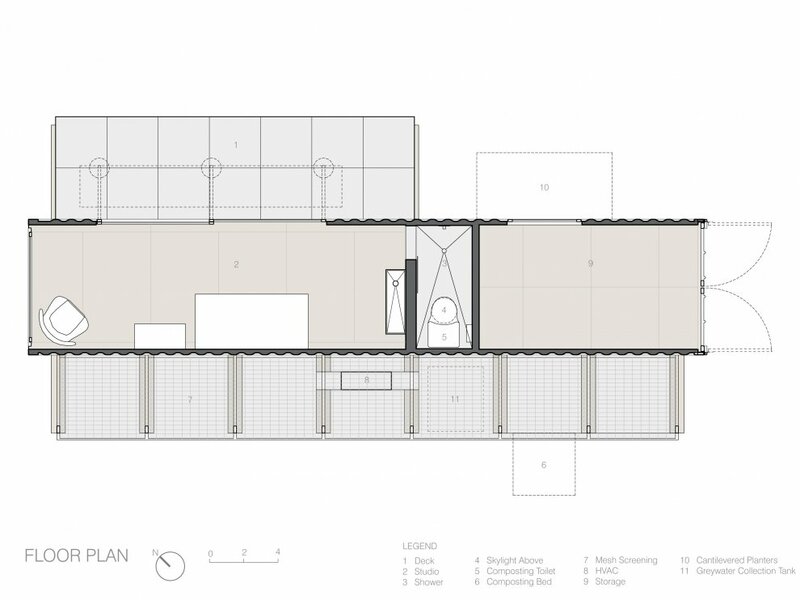 Grey water is collected from the shower and sink, and is used for green roof irrigation. 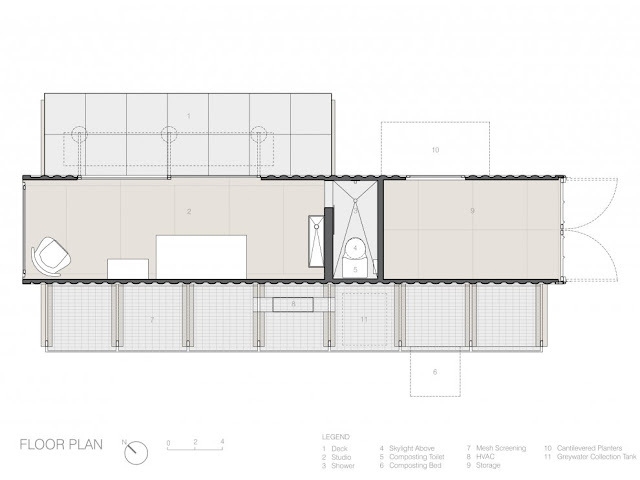 The WC is a composting toilet. Interior space insulated with high efficient spray foam and lined with natural bamboo plywood suitable for walls and floor.